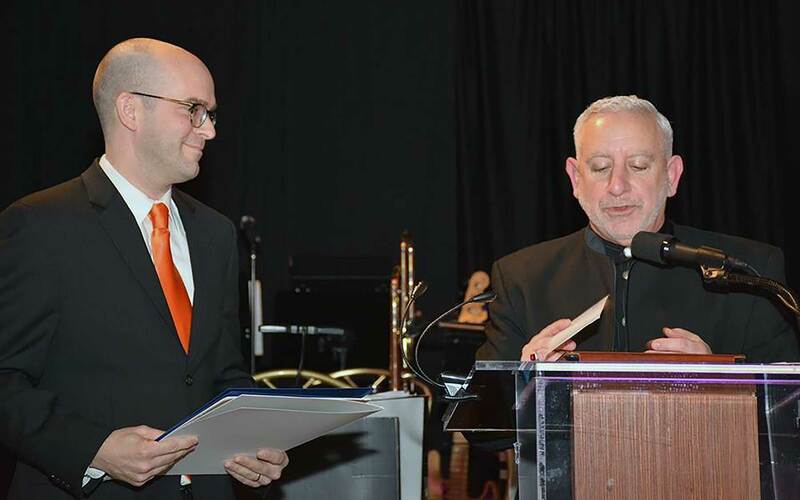 Associate Professor Christopher Vakoc (left) receiving the check from Philip Renna, Director of the Christina Renna Foundation and Director of Operations in Public Affairs at CSHL (right). 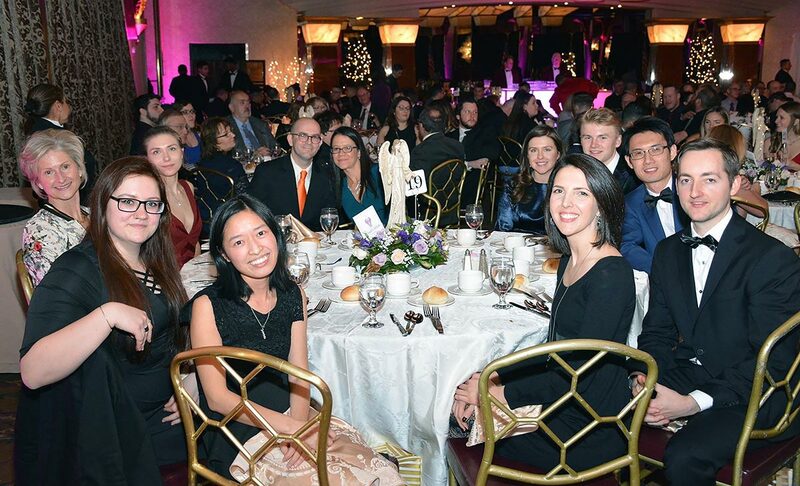 The Christina Renna Foundation presented $30,000 to Cold Spring Harbor Laboratory (CSHL) at its 11th annual Angel’s Wish Gala held on January 20, 2018. These funds will support the Sarcoma Research Project, which focuses on a rare and often fatal cancer, rhabdomyosarcoma (RMS). Associate Professor Christopher Vakoc of CSHL was awarded the 2018 Christina Renna Foundation Research Award for the Sarcoma Research Project. He accepted the donation check as a representative of the laboratory.